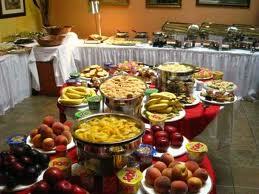 Sunday Brunch Catering has the experience and will be honored to provide service for all occasions. We have numerous chef with 20 plus years in food-service looking to make your event one to remember. We will also assist you in creating your menu to fit your budget, exploring every avenue to make your event possible. the service and the food is great i would suggest them to everyone thank you so much. So glad we get to work with you for our son’s graduation party! Love the website. For all events: Breakfast, lunch, brunch and dinner.